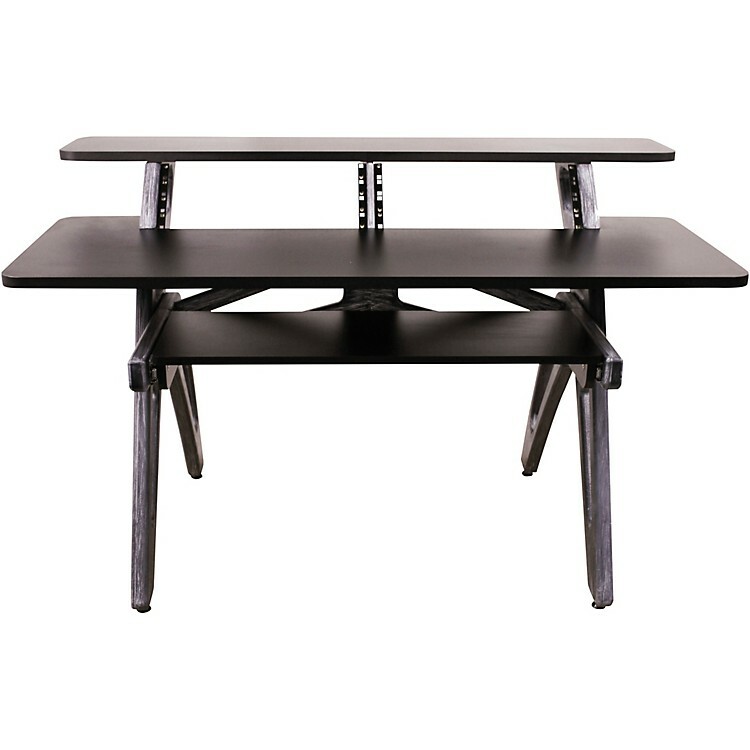 ZAOR YESK is a modern production desk with an open design that's perfect for editing and other creative processes. With a full, solid wood frame and 8 rackspaces conveniently located directly in front of you, YESK can get you through your tasks quickly and effectively. The top level is the perfect height for speakers/screens, and an ample-sized workspace level with extractable keyboard shelf puts everything at reach. Redefine you workspace with ZAOR studio furniture.